This morning I attended a two-hour digital marketing training with RevLocal and Google. If you're interested in keeping up to date with digital trends, I would highly recommend connecting with RevLocal to find out about its next training. This was one of the best events on the topic that I have attended this year. The room was full of marketing leaders and the knowledge learned was well worth the time away from the office--always a plus in my book! Here are just a few take aways from the training. 3. 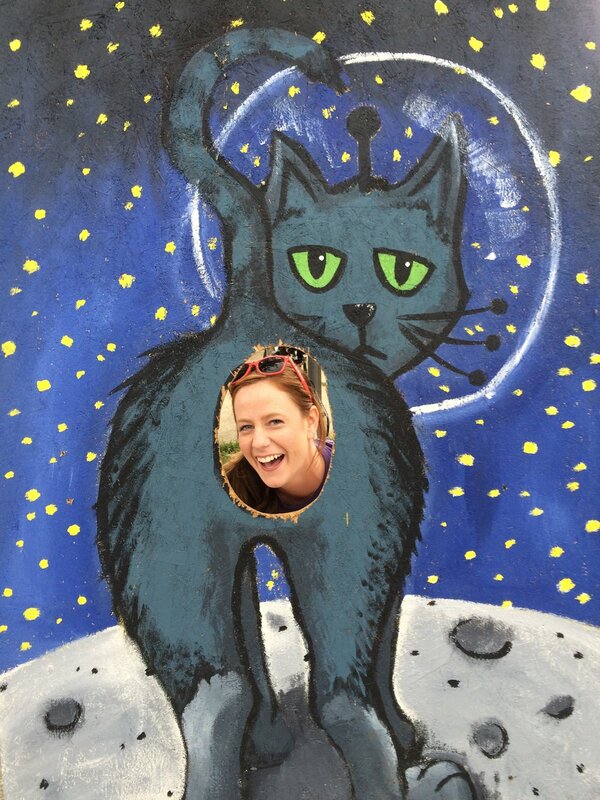 Lastly, according to the experts at RevLocal, a great digital marketing strategy makes you a Sniper Kitty (see below). This was my favorite laugh of the day! That's all for meow! Thanks for reading. It’s been a busy few months and here’s a little update on some fun projects and events Remember Marketing is helping out with...even some that you can join in on! If you love Ohio as much I do, make sure to check out the recent #PictureOhio album that Remember Marketing helped compile on Ohio Farm Bureau's Facebook page. Each month we ask for photos on a variety of Ohio topics. We were blown away by the fascinating stories and images we received for this month's theme, which was Ohio barns! Next up is funny farm animals...get your cameras ready! 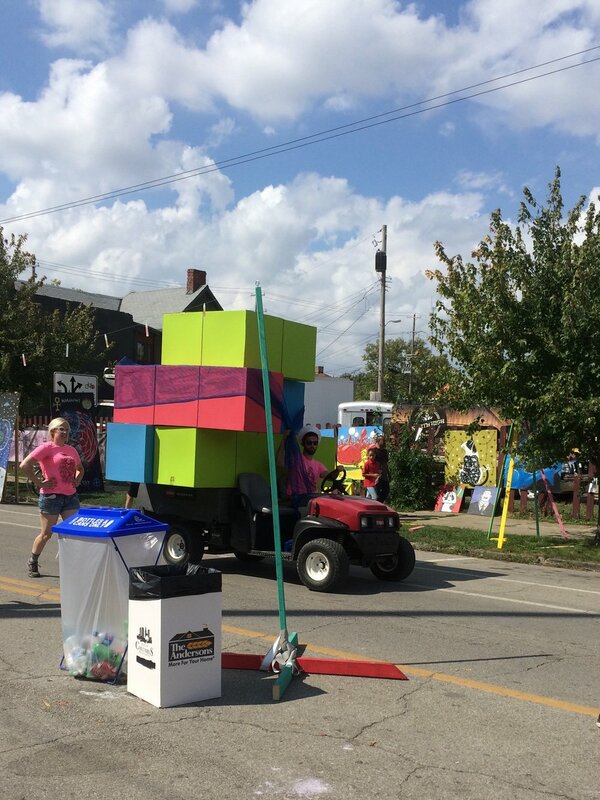 This is the fourth year we have helped promote Credit Union of Ohio's annual community carnival and it has grown from a few hundred attendees to almost 1,500 attendees last year! As a completely free event, open to the public, it is becoming known as the best way for families to kick off their summer. The carnival takes place 5:30 - 7:30 p.m. June 9 at Credit Union of Ohio’s Hilliard headquarters. Come say “hi” and enjoy some free food, activities and live music. Most importantly, keep your fingers crossed for sunny weather! Psst...I have a secret to share. We are helping arrange some informal focus groups in June and were searching for a space that would give brewery tours and tastings, as well! After contacting a few inflexible (and overly expensive) venues, I want to give a shout out to Mandy at Hofbrauhaus Columbus for helping plan the details of our event within minutes. Hofhaus is definitely Remember Marketing approved and we are excited for Sauerkraut Balls and Lager. Prost! Finally, what a honor to be included in this year’s Forty under 40 class! Last night was the Awards Gala and it was quite an event. I was definitely humbled to be attending with some of the city's finest professionals. Here's a snippet from the complete supplement and a fun blooper video that you just might see me in! Feeling extremely grateful for my dear clients, family and friends! Have a good weekend, ya'll! Taco Loco is the name of the unassuming Mexican restaurant located in a strip mall in northwest Columbus. In Spanish, the name stands for crazy taco. While there isn’t anything too crazy about the environment or food, the restaurant probably won’t ever need to rebrand. Why? Because they are doing the most important thing right. The restaurant doesn’t have a remarkable ambiance, but it has the one thing that will keep customers coming back time and time again—a welcoming vibe. (Ahem, we all want to belong!) Of course, the other reason to come back is for the delicious, authentic Mexican food. From my observations, Taco Loco has mastered the way to make customers feel like they belong. I have dined there several times in the last few months to observe the place bumbling with a variety of patrons, spanning all races and ages. First, when you walk through the door you are greeted with a smile, handshake or hug. One day I watched people steadily walk in for about 15 minutes and most of them got the hug. Many are called by name, too. The restaurant’s regulars come back because they are welcomed and treated like family. They are taken care of, not just by one person while they dine, but by the entire staff who checks on patrons throughout their meal to make sure they are having the best experience. It’s an authentic, over-the-top focus on the customer experience. Besides creating regulars with these exceptional customer service standards, Taco Loco is also building its fan base and free word-of-mouth advertisers (like me, ha!). This genuine way of doing business can truly help their customer base grow exponentially. It’s not a bad payoff for simply making the effort to focus on their customer’s comfort level and experience. I wish more companies in today’s service industry would take some tips from Taco Loco. You can create the best marketing campaigns in the world, but they mean nothing if you don’t follow through at the ground level and treat your customers right! Now for your homework: How can you recreate or refresh this exceptional customer service example for your business? What will keep people wanting to come back? Let me know if you’d like to TACO ‘bout it! As many of you know, I set a goal last year to embark on a year of giving through Remember Marketing. Each month I chose an organization or cause to give my time or financial support. I’m not always one to stick to my goals, but I actually followed through with this each month and it quickly became one of my favorite projects. I know you've probably been waiting to hear about what we did in November, December and to get the final year in review, right? Well...November was a treat as Remember Marketing adopted two seniors through Besa’s adopt a senior program. There were about 1,300 seniors in central Ohio adopted this year through its program. We got a list of our senior's wants and needs, shopped for the perfect gifts, wrapped them and dropped them off at Santa's Workshop before the holidays. Below is the pile of gifts collected by Besa before they were distributed to the seniors. It was truly heartwarming to see! December was dedicated to a new opportunity volunteering with VoiceCorps, a volunteer service that provides audio news and entertainment for people with visual or physical impairments in central Ohio. I have been reading the TV schedule each week, which is broadcast to listeners within 50 miles of Columbus. This work definitely gives me a new perspective and appreciation for my eyes and voice, and I’m excited to see where the opportunity takes me. I learned many valuable lessons this year but one of my favorite would be the importance to have goals and knock them down. I am proud to share our year of giving list for 2016 and look forward to continuing on the giving spree in 2017! January - Supported the Columbus Museum of Art by attending Wonderball. February - Volunteered to help with the AAF Columbus ADDY Awards. March - Contributed to what is now the very popular and highly successful Nest Theatre. April - Participated in Couponing for Good to benefit the Mid-Ohio Foodbank. May - Dined to make a difference at Bob Evans (four times) to support three worthy causes. June - Sponsored and played in a golf outing to benefit the Ohio Farm Bureau Foundation. July - Attended a benefit to support Downs Syndrome. August - Operation Backpack was the cause, and we got our entire office in on the fun. September - Got sticky pouring beer at Independents' Day Festival. October - Contributed to the Jack Roth Fund by attending the A/W Fashion show put on by Rowe Boutique. November - Adopted two seniors through Besa. December - Started volunteering with Voice Corps as a reader. Even though we may not call out our giving projects monthly in 2017, please know that giving will always be at the forefront of what we do at Remember Marketing. Thank you for reading and following on the journey! Overindulgence in good food and holiday merriment has finally come to an end (at least for a couple of weeks) and I’m back with a clear head focused on marketing wellness for the rest of 2016. Last weekend it was reported that this was a record year for Black Friday online shopping, but my thoughts shifted to another Black Friday activity: #OptOutside. In 2015, outdoor clothing company REI rolled out a novel idea. It closed its doors to shoppers and paid its employees to #optoutside. The movement to spend time outdoors on Black Friday quickly became trending news with approximately 2.7 billion PR impressions in 24 hours. More than 150 retailers followed the trend to close their doors and opt outside, too. The campaign rightfully won a lot of attention as well as a prestigious award at the 2016 Cannes Lions International Festival of Creativity. Check out the reel below. Why was it so successful? Because REI chose to go against the grain in a big way and took a positive risk. Knowing their audience would most likely embrace the idea of opting outdoors, they went for it. Wildly successful campaigns like this one raise the question, how can we create something similar and achieve trending success for our clients, organizations or personally? To me, the formula is a simple one, but the components and execution are the tricky part. For a brand like REI, the motivation to spend a day outdoors made perfect sense for their target audience. But for other brands, getting the right formula for what motivates your customer can take some work. The doing something unexpected part can be a challenge—it’s those ideas that you may think are too out of the ordinary that are typically the ones that stick. In this case, REI’s idea can be extended to marketing too: #OptOutsideTheNorm and go against the grain. In this “opt outside zone” you will most likely find success. How will you opt outside the norm this week? I challenge you to take a positive risk! Did you know Columbus is a major fashion industry hub? According to a recent Columbus Monthly article, Columbus is the third largest home city for fashion designers. I guess you could say we're on point, on fleek and on trend with our fashion. Fun fact, one of my first real jobs was as a sales specialist for Ralph Lauren while in college, so I do have quite a love for anything wearable! And that's why Remember Marketing was proud to support a very worthy cause and see some fall fashion last week! Our October YOG cause was attending the A/W Fashion Show put on by Rowe Boutique in support of the Jack Roth Fund, benefiting lung cancer research and a camp for children with special needs. Here are a few shots from the show (where some of the best dressed in Columbus attended). We can honestly say this night was fashionable and fun! It can be exhausting, but there is a silver lining and a little insider secret for you, my friends. Every month Facebook actually lets you in on important changes through its Facebook Business blog. Yes, you can actually be in the “Facebook insiders club” and stay up to date by checking in on the changes for both small businesses and agencies. Facebook now has a searchable list of trusted small business marketing partners that you can contact based on what you need help with, including ad campaigns, media buying, content marketing, community management and more. If you consider yourself a Facebook marketing expert, you can apply to become a Facebook Marketing Partner in specific areas. Facebook is investing in new technologies to provide the best data measurement possible. This means fine tuning its current metrics to provide more accurate information. Expect better metrics in the future. Facebook recently had a data reporting error that inflated the reach for its video metrics and issued a formal apology to marketers. If you’ve wanted to learn more about website pixel tracking codes and how they can help with your marketing efforts, here’s a recent article that explains how the Facebook pixel works and gives specific tips for using the pixel on your website. You can catch up on stories and important updates from previous months or sign up to be on our FIP (Facebook Important Posts) list where we'll keep you in the know on what you need to know. Year Of Giving check in - three months to go! I’m so excited to report that we have nine months of our YOG project under the belt. The project has been exciting, eye-opening, fun and most of all rewarding! What a pleasure it has been to actively search out causes to support. From causes based in the Columbus art and advertising scene, to Ohio’s farm and food community, to local families in need, and special causes like Down syndrome, we have LOVED giving back each month! We are looking to wrap the year up strong and I hope that Remember Marketing can continue on this path of giving. As always, we invite you to join us. Email info@remembermkt.com if you'd like to make positive changes together. Above is a quick collage of our September experience, volunteering at Independents’ Day festival in Franklinton. 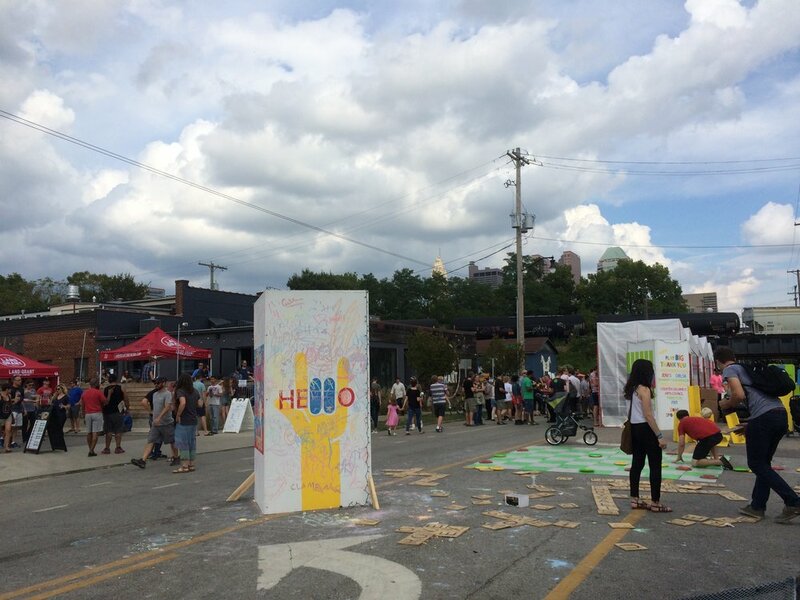 This festival showcasing some of the best artistic talent in the city is magical! 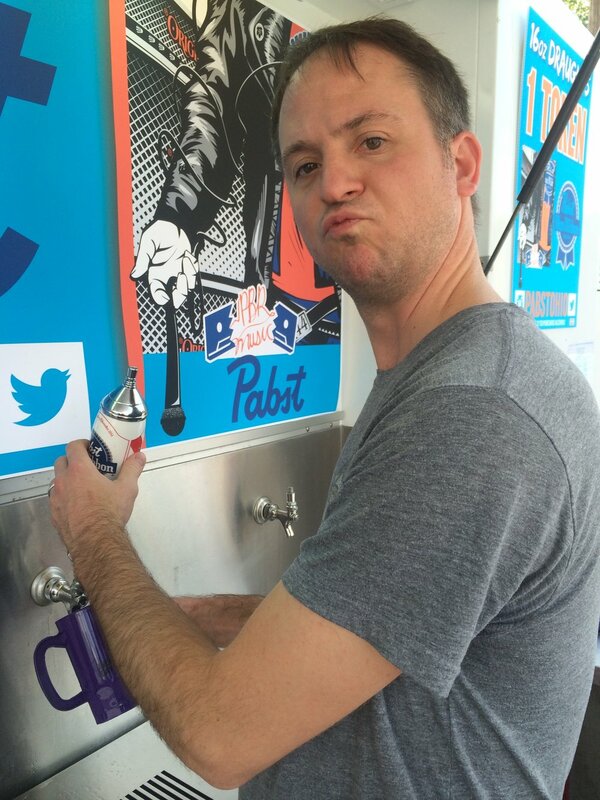 We spent a few sticky hours pouring beer at the Pabst beer truck and afterwards explored and met a ton of fun, artsy people. Thanks to my husband, Doug, for being a trooper and volunteering with me on a football Sunday! That’s true love, right there! Maybe we’re all just a few tweaks away from creating something brilliant...I recently came across an article about Breakthrough Brands. You know, the brands that are growing by leaps and bounds because they understand their market, their customers and most importantly how to break through all the noise in today's advertising world and achieve success. What a great reminder for us all to keep on pushing–don’t give up on your ideas! If something isn't working, it may just need a little tweak. One major benefit of technology is that digital ads can literally be updated in a matter of minutes, making your perfect marketing campaign just a few tweaks away.